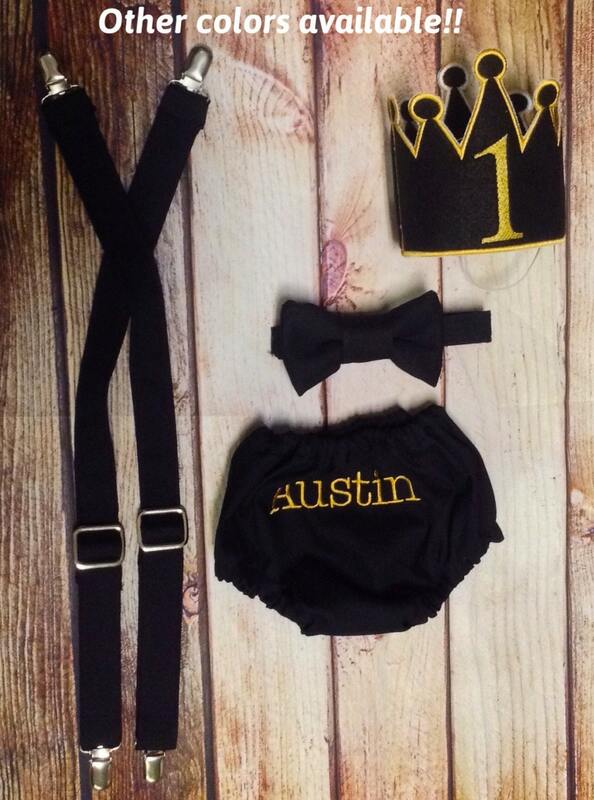 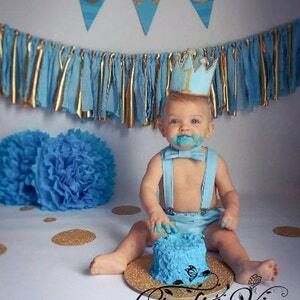 Your prince will be ready for his cake smash in this black and gold cake smash outfit complete with suspenders, bow tie, crown, and diaper cover. 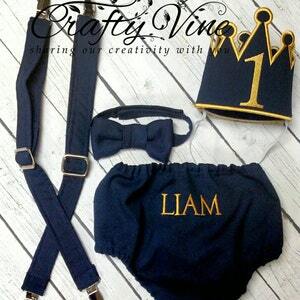 Other colors available just leave a note when checking out with the colors you would like. 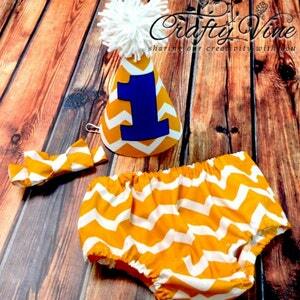 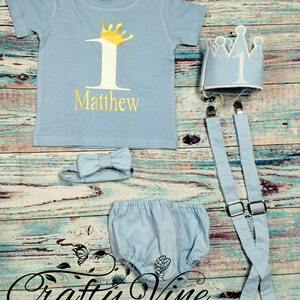 We customize any outfits, contact us for a special order!